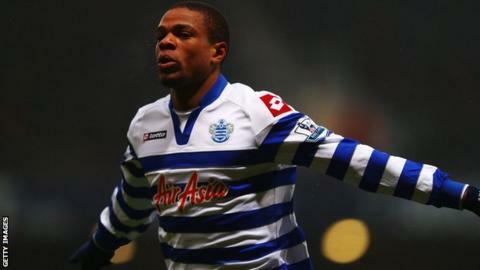 Queens Park Rangers manager Harry Redknapp says French striker Loic Remy could make a surprise return for Saturday's match at Swansea City. Redknapp said last week that the £8m signing from Marseille was facing a spell out with a groin injury. But the 26-year-old may make an appearance for the Premier League's bottom club at the Liberty Stadium. "He trained this morning, he's close," Redknapp told a QPR fans' forum on Thursday. Remy has started just two league games for Rangers, a 1-1 draw at West Ham United on 19 January, in which he scored, and the goalless draw at home to Manchester City 10 days later. But he was absent from last Saturday's goalless home draw with Norwich City after getting injured in training. "He's close to being fit for Saturday," added Redknapp. "But I don't want to rush him in case he breaks down."